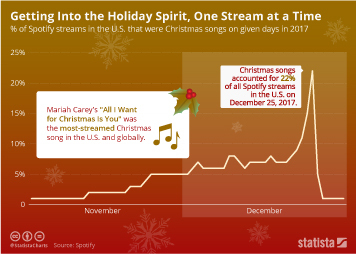 The days of physical music distribution are slowly coming to an end. 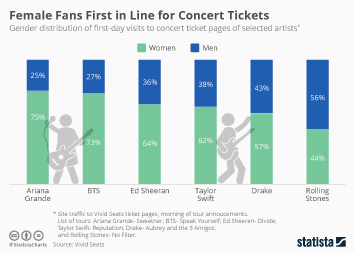 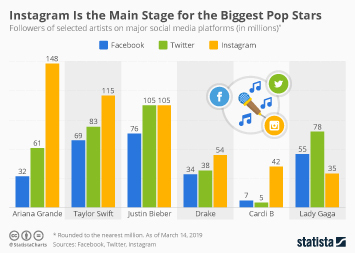 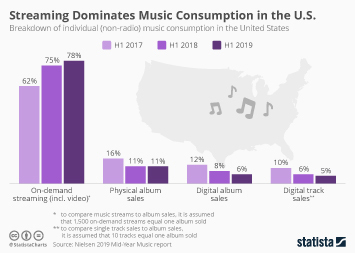 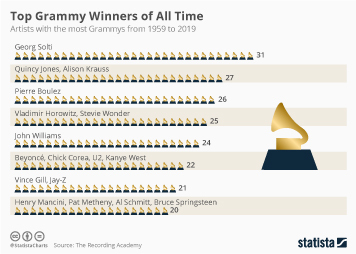 According to RIAA mid-year statistics, music downloads and streaming services accounted for more than 70 percent of music industry revenues in the United States in the first half of 2015. 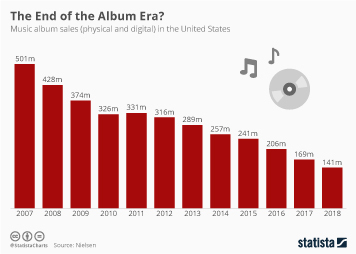 Physical formats, e.g. 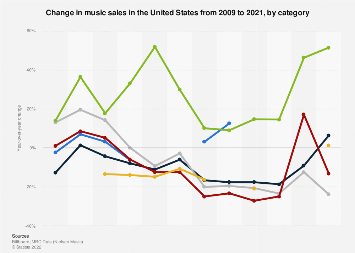 CDs and LPs now account for less than 1 in 4 dollars earned by the U.S. recording industry. 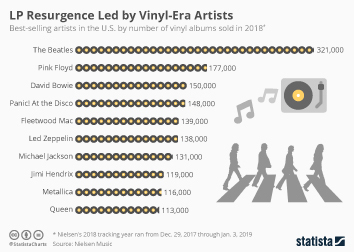 However, it seems that music lovers haven't just moved on from physical formats but also from the general idea of "owning" music. 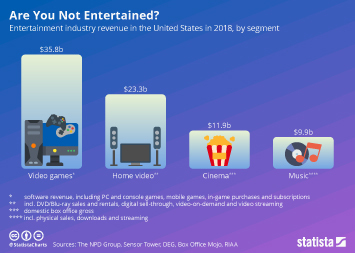 Revenues from permanent downloads declined by 4 percent while streaming revenues soared by 23 percent. 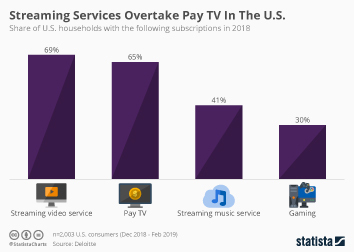 It appears as if downloads were only a transitional technology, needed as long as mobile networks weren't fast enough and mobile data plans not big enough to support streaming. 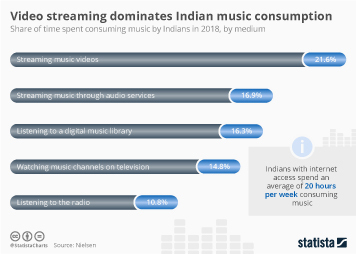 Now that many consumers can stream music wherever and whenever they want, they no longer feel the need to buy their favorite music. 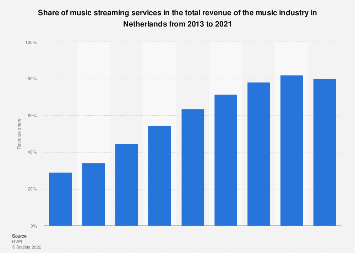 As Matt Rosoff from Business Insider accurately put it: streaming is no longer the future of the music industry. 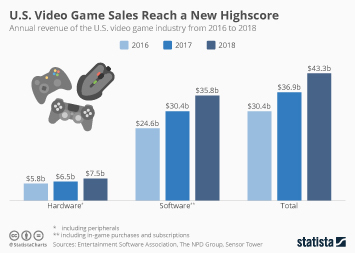 It's the present. 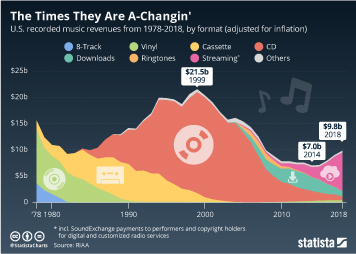 This chart breaks down U.S. music industry revenues by type of distribution.